Is it worth me appealing a Continuing Care funding decision? Care to be Different > Articles > NHS Continuing Healthcare > Is it worth me appealing a Continuing Care funding decision? When NHS Continuing Healthcare is refused, families are often left wondering what to do. Many people ask us whether it’s worth appealing a Continuing Care funding decision, and this is one of the most frequent questions people ask us in enquiries. The short answer is: We can’t say – at least, not without looking in detail at your relative’s health and care needs and risks. However, there are several things you can do yourself to decide whether it’s worth taking the matter further with the NHS. Is one or more of the assessment scores clearly wrong? If so, look at the scores you believe your relative should have been given, and evaluate how that combination of scores compares with the Continuing Healthcare eligibility criteria. (You’ll find the main assessment ‘tools’ via this link. They contain the criteria.) If your view of the correct scores matches the minimum eligibility criteria, and you can show why the scores those scores are appropriate, it may well be worth appealing. Did the assessors look at all the relevant care notes, plus information and input from all relevant clinicians, physicians, therapists, carers, consultants, doctors, etc? If they didn’t, you can argue that the assessment was not a proper review of your relative’s needs, and so you may well have good grounds for appeal. Are the daily care notes from the care provider up to date, and do they represent a full and accurate picture of all your relative’s health needs? If they don’t, you can argue that the assessment could not have been safe or reliable, and so you may have good grounds for appeal. Did the NHS involve a proper multidisciplinary team at a full assessment? Did they involve you fully in the process? Did they note your comments and input? Did they ignore or gloss over certain key health needs? If the assessment process itself was flawed and assessors did not follow their own Continuing Healthcare National Framework guidelines, you have grounds for appeal. Do you have the energy to pursue it? This might sound like a strange question and rather defeatist, but it’s just important to keep in mind. We’re not saying don’t do it – in fact, we’d encouraging everyone to pursue it if they can and if they believe their relative should have been eligible – but it’s just something to be aware of. Read the NHS Continuing Healthcare guidelines – the National Framework, the Checklist, the Decision Support Tool, the Fast Track. They will help you identify what has and hasn’t been done correctly by assessors and decision makers. 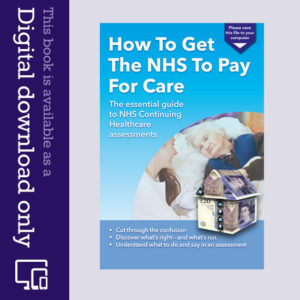 If you’re fairly new to NHS Continuing Care matters, and your relative has been refused funding but without you really knowing much about what went on – or what should have been done – you may find our guide helpful: How To Get The NHS To Pay For Care. The guide will also stand you in good stead in evaluating to what degree you have grounds for appeal. My mum has vascular dementia and has been in a care home for the last 18 months. She is self funding. As she has deteriorated enormously since she first went there we have been fighting continuously to have her assessed as we felt that the care home were struggling to meet her ever increasing needs. We have been stone walled at every turn and basically refused an assessment. This has resulted in mum being admitted to hospital with severe dehydration and the care home saying they felt they could no longer look after her. We finally got the assessment that she so desperately needs, however they insisted that her needs were purely nursing, and as a result would get limited help with funding. The places in nursing homes in our area are scarce, but we found one that agreed to take her on principle of the assessment. However, when they came to do their own assess, they concluded that her needs were too complex for them, leaving us back at square one with no placement. We’ve now managed to find another nursing home but when they came to assess they concluded that she needed emi care, not just nursing. I really don’t know where we go with all this. We suspected all along that her needs were far more complex than the ‘professionals’ at her assessment scored her. As far as funding, her money is rapidly running out and she will have to sell her home that my brother still lives in and has done since childhood, caring for my mum there for as long as he was able to. The only thing that seems to have been outstanding through all of this is the care my mum has received from all the staff at the hospital and the complete lack of support from all authorities concerned. All we want is the best care for mum! We (my sister and I) have just gone through a second Multidisciplinary Team (MDT) meeting for our Mother which we were granted after we objected to the flawed nature of the first one. The outcome was negative again – to be ratified by the panel. We’re not giving up and may seek outside help at the next stage. But a couple of questions to anyone with experience. The social worker was only informed she was attending the DST meeting at 16.55 the previous day and came early to meet Mother who had been admitted to hospital – also the previous day. The other member of the team had never met Mother and hoped to say hello that morning. They both had to read care home notes to have any idea about the case. Shouldn’t assessors have knowledge of the individual? The scores included one severe, one high and 4 moderates and we were told this was not enough. We hoped to argue the case on the complexity of Mother’s needs, but this was dismissed quickly as the meeting had over run. We, along with the deputy manager were also dismissed while they made their decision. At the moment, we are exhausted with the whole process, but there is a niggling feeling at the back of my mind that this too might have been flawed. 1. Are the board satisfied with the performance of X CCG in terms of its policy on awarding CHC funding? 2. Are the board satisfied with the performance of X CCG in terms of its policy in essence interpreting NHS framework taking precedence over the legally binding case of Coughlan? 3. Are the board satisfied with the performance of X CCG and criteria adopted by the CCG in terms of the numbers of patients who are unable to obtain CHC and consequently forced to self-fund nursing care or rely on X Council acting ultra vires to fund beyond the legal limit as established in Coughlan? 4. Will the board view and comment publicly on the video below as well as the attached care needs in the case of Coughlan the legal standard for obtaining CHC funding and affirm its commitment to the principle as set out by Wolf LJ in Coughlan that care needs equal to or above those of Pamela Coughlan are entitled to CHC funding. 2. The Governing Body is satisfied that X CCG’s procedures in relation to assessment of eligibility for NHS Continuing Healthcare comply with the law and the statutory guidance that is the National Framework which, as you will be aware, makes reference to the 2001 Coughlan judgment. Coughlan, of course, pre-dates both the 2012 Regulations and the Framework, and comes from a time when each area of the country had its own eligibility criteria for CHC. 3. There is only one criterion set out in the 2012 Regulations for establishing eligibility for CHC and that is the “primary health need” criterion. This is applied by the CCG’s nurse assessors in accordance with the National Framework. There are no quotas for eligible patients. As a public body obliged to act in accordance with its statutory powers, the CCG would never expect another public body to act ultra vires nor endorse its doing so. 4. The Governing Body has viewed the video. At the time the Coughlan case was determined, each health authority area could set its own eligibility criteria for CHC. To this extent, Coughlan has been superseded by the revised National Framework and the 2012 Regulations, which now set out the legal standard for obtaining CHC funding, as explained above. Moreover, what qualifies as a health need may change over time, as medical technology impacts upon care delivery. 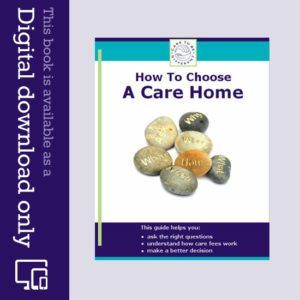 For this reason the case of each individual is assessed on its own unique circumstances and merits, and comparison with other service users may be unhelpful. So far only got to Local Resolution Process and are awaiting decision. They listened to reasoned arguments on domains without any feedback and little comment on what we said but ran out of time to discuss key factors ( although were told we had presented the appeal well in written form ) Will take to Independent Review Panel and then our chances in Court since believe NHS/CCG have had enough time to get the decision put right.It will be up to the judge at Court to decide if we have adequately exhausted the arbitration route and consider 3.5 years so far is reasonable enough.My advice is to push the health need -v- social need principle as clearly the panel became uncomfortable when pressed on this issue since we insisted there was a primary health need!!! Something that gets lost when discussing domains, key factors.. Following attendance at a local review panel and then and independent review panel where I was partially successful in obtaining retrospective funding for my late aunt’s nursing fees, I complained to the Parliamentary and Health Service Ombudsman for the unsuccessful period. Their draft decision shows that they will not be upholding my complaint and are seeking further comments from me. Do you have any experience of draft decisions been changed following further comments submitted? Jennifer – personally I haven’t had any cases like this, but that doesn’t necessarily mean the decision in your case won’t be amended. You may find others can add their experience here. Mum has passed stage 1 for Continuing Healthcare (CHC) in April 2016. Have contacted district nurses but still awaiting stage 2 assessment. Just received invoice for care package dated may 2016. I contacted finance dept of local council and been told by them who asked a Social worker (SW) that Mum should pay and if she is awarded CHC they will give refund. I Have told them they are acting illegally and SW involved is asking manager if this is so. Can anyone give me advice as SW is calling tomorrow. I will stand my ground but what should indomi manager is saying mum should pay? My mother’s Continuing Healthcare claim was recently turned down. She died in September 2012. It has taken this long for a decision. The notes submitted by the nursing home were misleading and in some cases not accurate. As it seems the decision was reached based on these records I wish to appeal. Is there any need for a solicitor to be involved? I fought “tooth and nail” last year for NHS Continuing Care funding for my husband and attended the assessment meetings. He totally lacked Mental Capacity sadly at that stage. I achieved “medium rate” of funding and we had to pay a top up of £70.00 approx. for the three weeks that he was in a nursing home. I told them how desperately ill he was, having been told by the Consultant that he had “weeks or months” to live. I then took him home for terminal care and he died five days after that. Should I make a retrospective claim for the £210.00 approx.? I know its not much compared to other emails but its the principle and I am uncertain whether there are “bands” of NHS Continuing Healthcare Funding. My understanding is that the NHS funds the lot whether the nursing home asks for a “top up” to meet their fees or not. When he came home the Fast Track process was very efficient but I never did get the completed DST. Should I also request this? Hi Dee – Continuing Healthcare (CHC) cannot be topped up, and no one should have asked you to do that – certainly not the care home. CHC is not capped and it must cover all assessed care needs. You mentioned a ‘medium’ rate of funding. Is this definitely NHS Continuing Healthcare? There aren’t any different ‘rates’ for CHC. Yes, make sure you get a copy of all assessment notes, and appeal anything you disagree with. My late partner assessment was refused before he died in February 2016. At the appeal panel meeting we as family told that the domains were separate but linked together and could not double score. He was given a Moderate for drugs and medication, but in Altered Sates Of Consciousness was given a low, because they said his hypotensive episodes where controlled by not getting out of bed and drugs. We argued that reason he did not have any more ASC episodes was because we did as told and left him in bed. But the need is still there and he should have been a moderate here too. They said that would be double counting is this correct? Mark – every care needs should be accounted for and shown in every relevant domain, as this is an indication of the complexity of the care. We often hear accounts of assessors refusing to note all the needs in this way. All needs still need to be managed, as you say – and staying in bed brings with it additional risks and needs in the Skin domain, for example.